Fully automated, computerized clerking system providing clear, concise invoice detail for buyers and detailed reports for seller. All provided by a professional clerking staff. Maintain a large computerized database of prospective buyers in a variety of categories for mailing lists. 53 years experience in Real Estate, Farm/Livestock, Antique, Estate, Household and Specialty auctions. 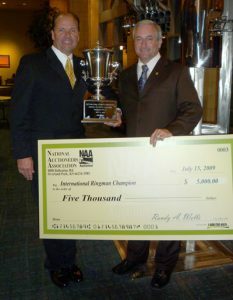 Member of National Association of Auctioneers, Missouri Auctioneer’s Assocation and the Iowa Auctioneer’s Association. Licensed Auctioneers, and Real Estate Professionals. State of the Art Technology from Facilities to Audio/Video capabilities.